Much of what we saw this week is being manufactured for show display only, as a test, or in small quantities the authors sell on their own websites. 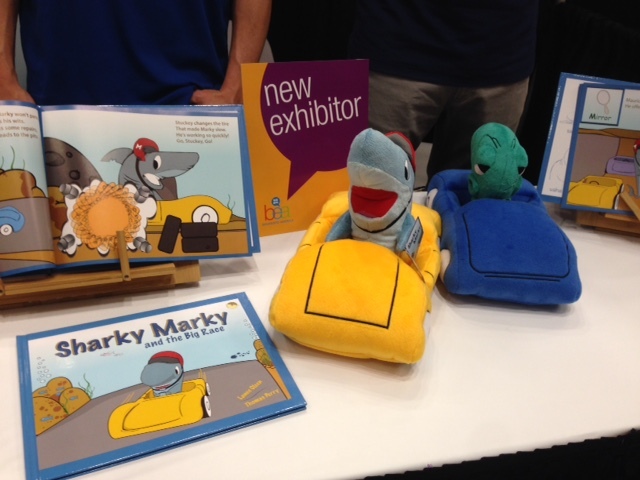 Louisiana-based author Lance Olsen and illustrator Thomas Perry were showcasing their “Sharky Marky” preschool book with a plush shark in a plush car, both of which they fabricated for the show. The website also features coloring book sheets that can be downloaded. They had a sign that they’re looking for a literary agent and/or publisher, and they’re amenable to licensing. Distribution is primarily via Barnes & Noble and amazon, plus a handful of stores in Louisiana. 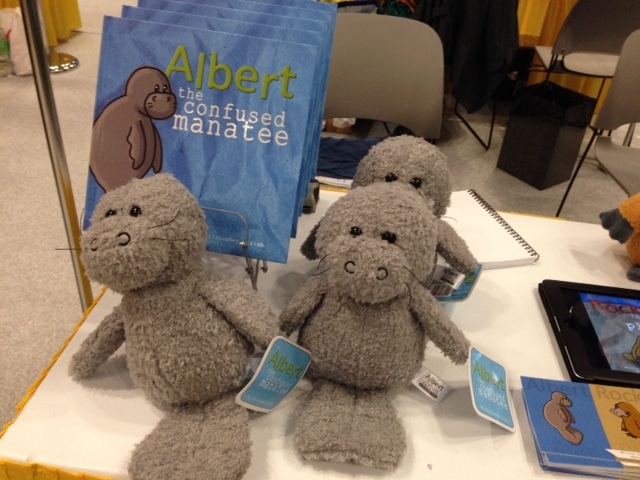 Author/illustrator/designer Christopher Straub had similarly beautiful 9” plush for his books, “Albert the Confused Manatee” and “Rocky the Confused Platypus.” Indeed, the level of detail in the plush was striking, making the book characters seem a little plain by comparison. Straub told me he had to have the fabric for the platypus made to his specifications because he couldn’t find something the right color that had as good a feel as the fabric for the manatee, and he is concerned about continuity in the look and feel of the characters. Straub sells his books ($17.99 MSRP) and the plush ($22.00 MSRP) on his website, and estimates he’s shipped about 2500 books from his home office over the last six months. 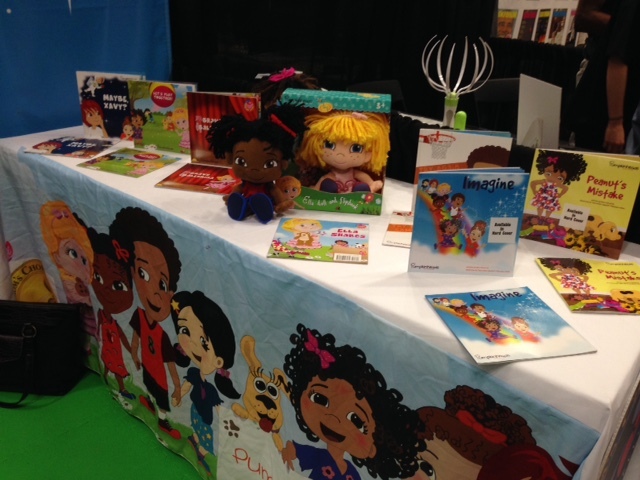 Author/illustrator Karen Kilpatrick, based in Florida, is working with licensing business pro Joan Packard Luks to build on her series of learning books based on her Pumpkinheads characters. The books are self-published for the moment, with Baker & Taylor and other traditional distributors making them available as well. An app has just launched, and Luks says animation is in the works, as well as formally licensed merchandise. BeautyLand Couture is an online retailer offering beauty items from hair appliances to HBA to candy sticks, as well as handbags and apparel for young teens. The book tie-in? 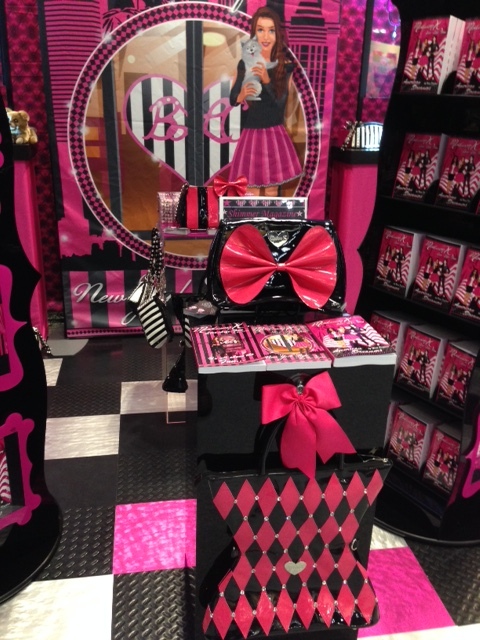 A YA series built around a character named Madison K., an 18-year-old fashionista with positive morals and work ethic created by author and BeautyLand Couture founder Nina Kaplan. 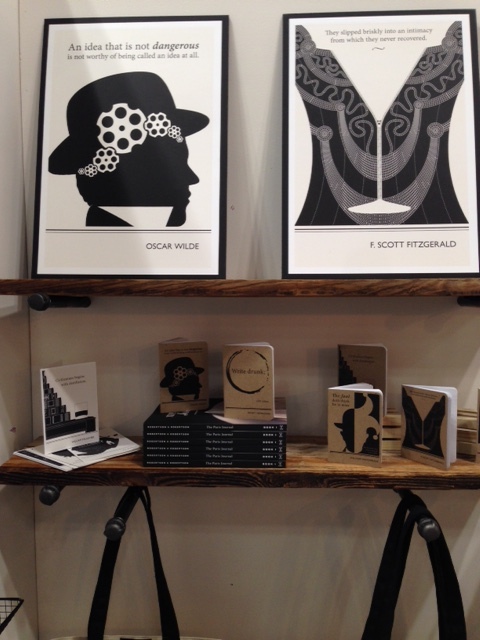 A third book in the Madison K. series launched at the show, as did some new Kaplan-designed merchandise. Disney Publishing had a relatively modest booth. Bendon and Parragon had their wide assortments of licensed titles. Plenty of Star Wars and Star Trek, as well. I continue to be impressed by Litographs, which designs shirts, prints, and other goods in designs composed of all the words in the book in teeny tiny type. New to the show this year (but in business for two years), is Obvious State, which creates art out of quotes, titles, and other book-based sources. Both companies handle their own manufacturing, but their designs are certainly licensable for categories beyond those they make or source themselves.